On the way, originally uploaded by Michael A. Lowry. I’m joining a couple of colleagues for a day of skiing at Laax, a ski area just 1 ½ hours’ drive from Zürich. The weather is not forecast to be particularly good, but one can always hope that it’s sunnier at the higher elevations. 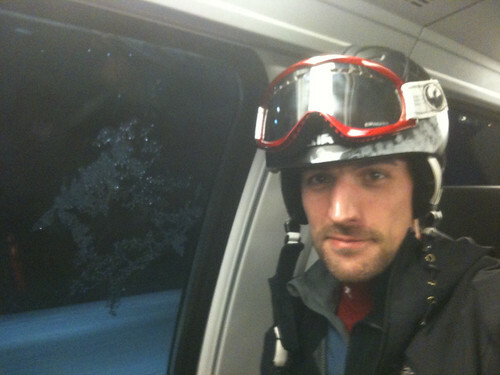 This’ll be my first day on the slopes this winter. I had considered going ski touring today, but opted for good old downhill sking instead because I’m still tired from a long first week back at work. I also did sporty things every day of the week, so I need to do something comparatively relaxing today. I’ll try to post more pix from the mountain!